Last year, Dave and I went on a vegan diet for a few months. We both felt much, much better and lost weight. We are starting over with that diet except this time we’re eating chicken as I find it incredibly difficult to cook for a family without the use of poultry. So we can’t say we are vegan. More just eating healthy to keep these old bodies movin’! We try to eat a lot of veggie and bean meals and have found a few that we truly LOVE. 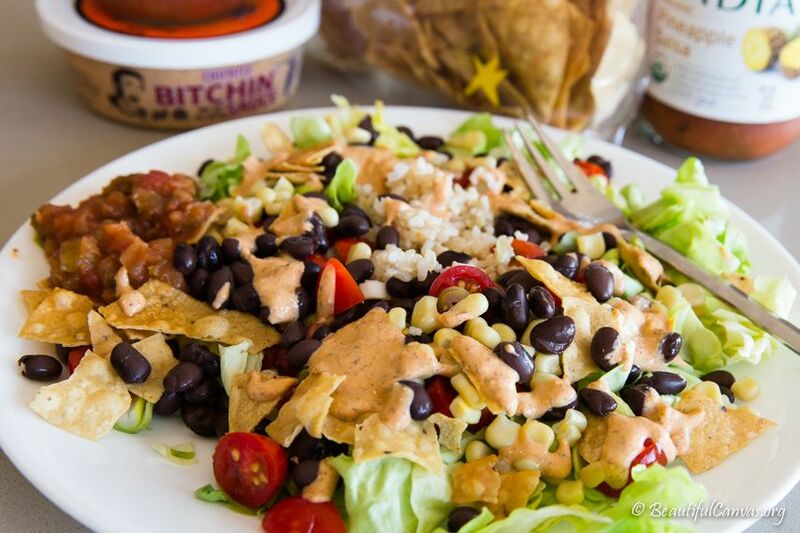 Definitely our favorite and most frequently eaten meal is a “burrito bowl” with brown rice, black beans, corn, lettuce, tomato, avocado, green onions, a few tortilla chips, salsa and the thing that takes it from good to fantastic: Bitchin’ Sauce. 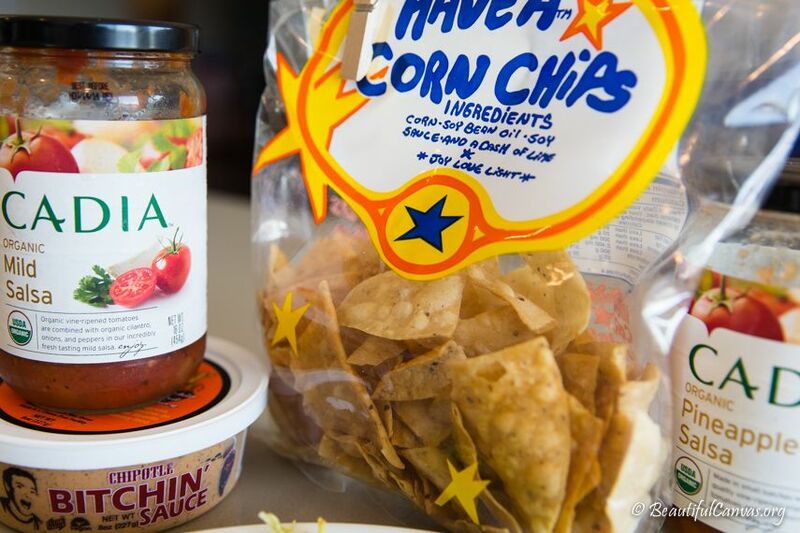 I’m a huge fan of Cadia salsa and Have’a corn chips which are made in Laguna Beach. I promise, this is GOOD. In fact, when Dave travels, he says he misses our “salad”. We had this a couple times while in Colorado and I agree that it’s a delicious as well as a healthy meal. 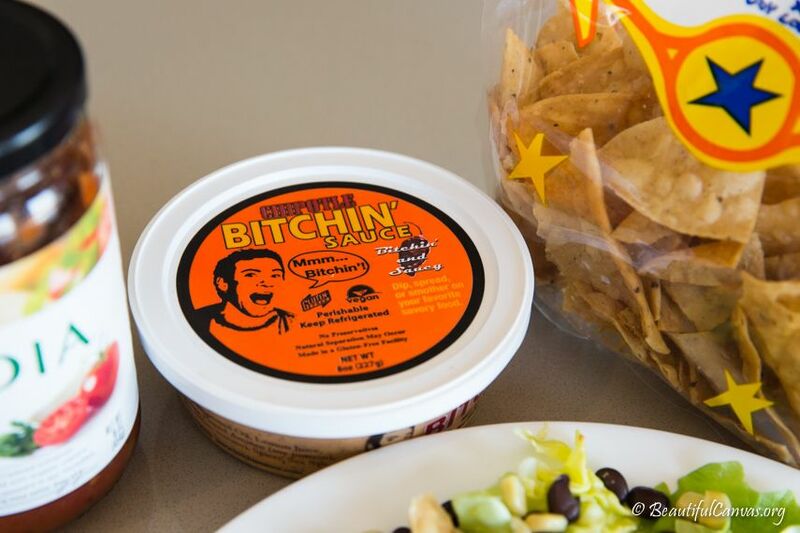 I preferred the milder “bitchin'” sauce. I don’t have the sauce but I’m planning to try the same salad with cashew cream instead. Won’t be the same but hopefully will be good. To make cashew cream you put raw cashews in the blender and cover with water. Blend until smooth. So simple; so good. I love it on baked potatoes and in soups. If it’s not as good on the salad as Lana’s sauce, I’ll order the sauce. You know that I will have to try to find this stuff here in Abilene!!!! This reminds me of a restaurant here called Cafe Yumm that has one of the best sauces I’ve ever tasted. It’s not hot spicy , but it has all these wonderful flavors in it. And I have no idea how many calories it has in it. Their Yumm bowl consists of black beans, brown rice, olives, avacado, cheese, cilantro and Yumm sauce. SO good. Ich spiele gerade “Diplomarbeit schreiben”. Aber irgendwie ist das nicht so lustig. Und ich will vor allem einen Ersatz für WoW. Denn das habe ich ja bekanntlich .